Hand-crafted limited edition variant of just 200 pieces! Destroyah will hold a place of honor in your collection. Entertainment Earth Exclusive! He will destroy ya! 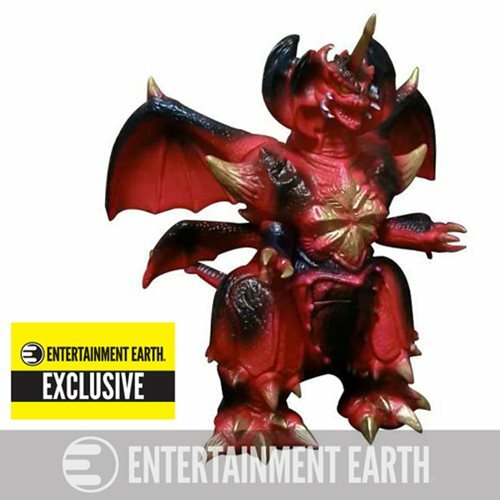 This hand-crafted, hand-painted Godzilla Vinyl Wars Destroyah Sofubi Vinyl Figure, inspired the designer toy movement, will hold a place of high honor in your collection. Originally released in 2010, the Monster Heaven Destroyah has become a fan-favorite, highly sought-after item. A limited edition of only 200 pieces, the 11-inch tall Godzilla Vinyl Wars Destroyah Sofubi Vinyl Figure is now reissued with an exclusive variant colorway. Don't miss it!